Creative ideas for a fresh take on family day trips. Amazon Kindle books to help families and those organizing group field trips for educational purposes have a better time, and avoid the pitfalls. The flexibility homeschooling offers makes it possible for families to get out and explore the world by providing opportunities for experiential “hands on” learning. The rise of homeschool co-ops and support groups has created an opportunity for families to join together and benefit from large group discounts and social connections. Getting one or two families together for an outing is easy, but managing a larger group takes planning, organization and effective communication. 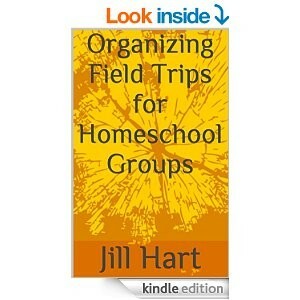 Organizing Homeschool Field Trips for Groups is a great resource for planning outings involving 5 or more families. It will explain how to plan and host a great group field trip that will leave participants wanting more and in some cases, excited to help you organize and plan! From generating ideas to promotion to feedback everything is explained in detail with sample planning sheets and forms. 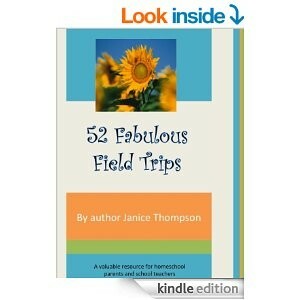 Join author and homeschool mom Janice Hanna Thompson as she leads you on 52 exciting field trips. 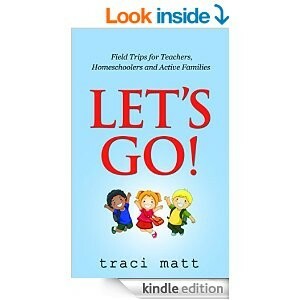 Each trip is loaded with tips for every academic subject. Why field trips? They provide an excellent way to teach! They offer students a break from the “hum-drumness” of the daily grind and offer teachers a new and refreshing way to approach “ordinary” places in an “extraordinary” way. It’s all about creativity! Getting “out of the box” is the goal. Once you’ve done that, nearly ANY place can become a field trip possibility. You’ll be surprised at how many academic subjects can be covered on a simple outing to the park or the airport. You’ll be stunned at students’ writings when you provide them with a new point of view. This book is intended to be a spring-board, offering basic ideas for places to go and things to do. Use your creativity skills to take these exercises a step further, if you like. Shape them to suit your own personal needs or the needs of your students.